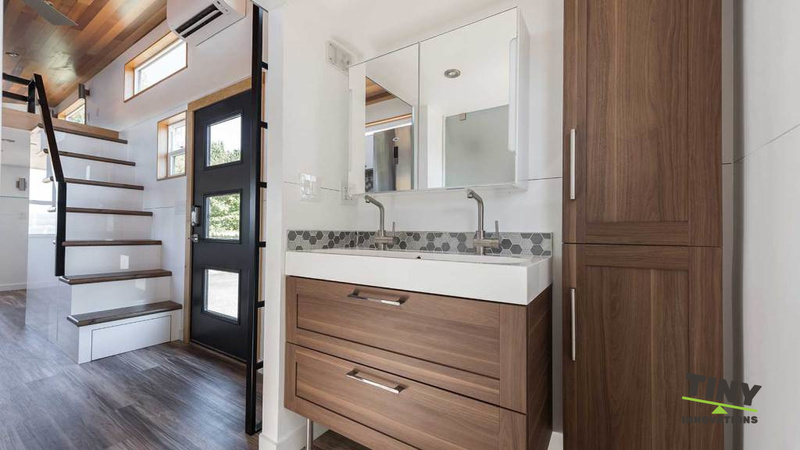 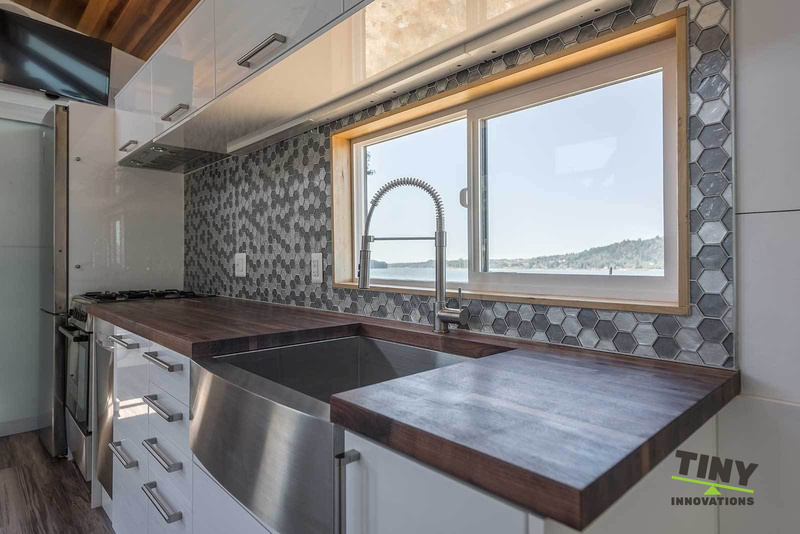 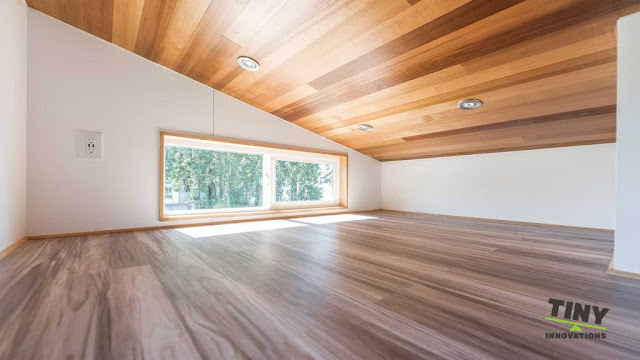 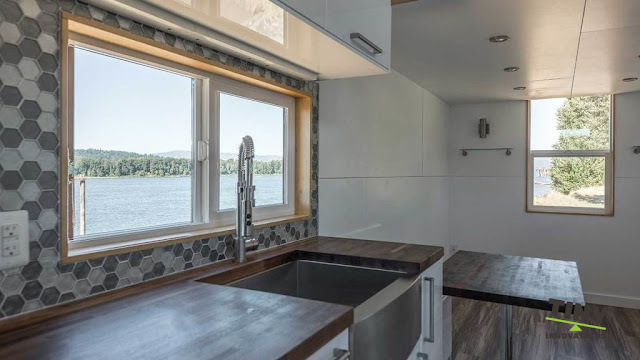 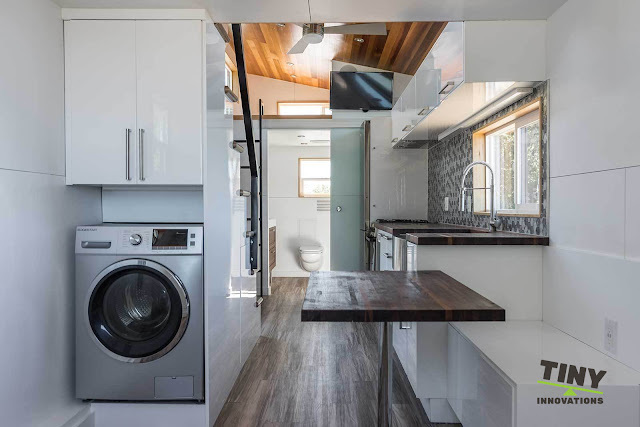 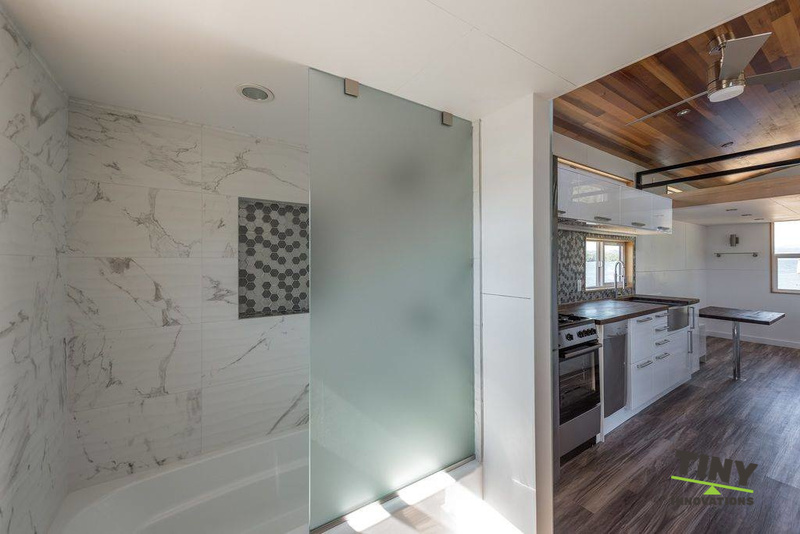 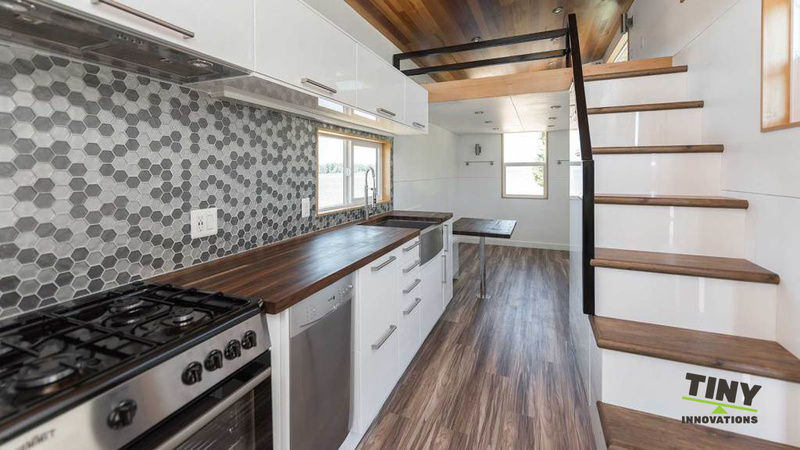 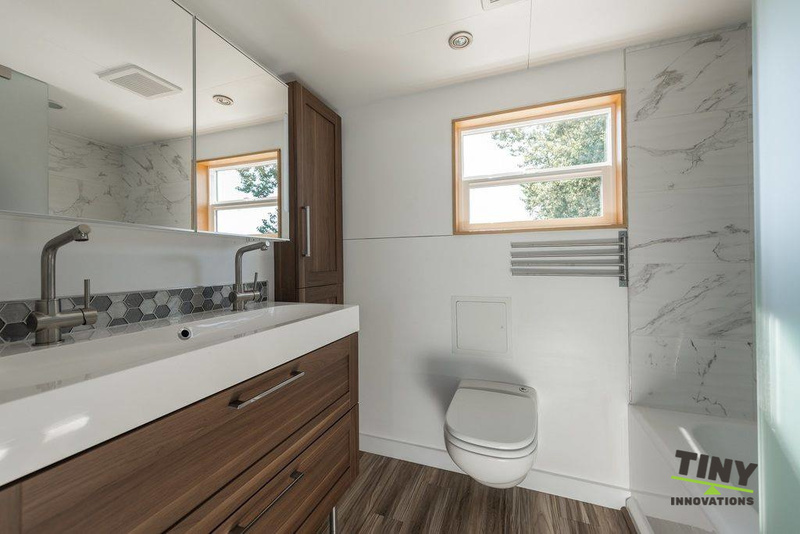 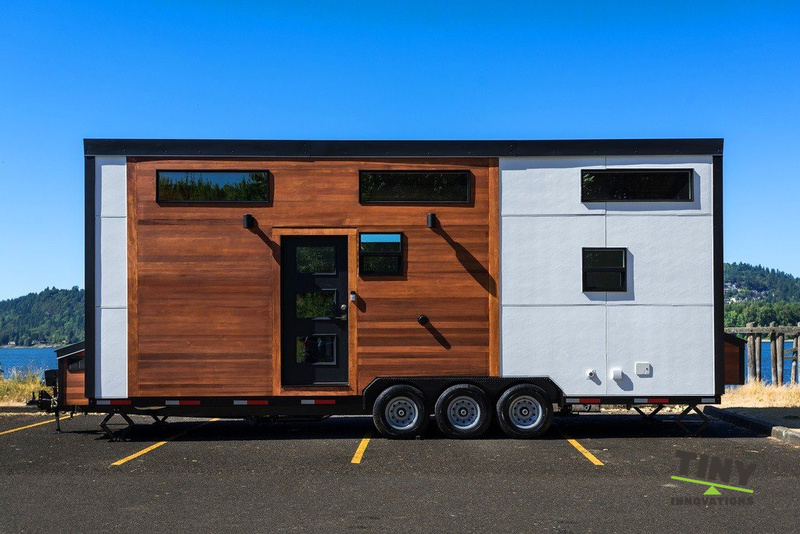 From Tiny Innovations, an RVIA-certified builder from Gresham, Oregon, is this beautiful modern tiny house on wheels! 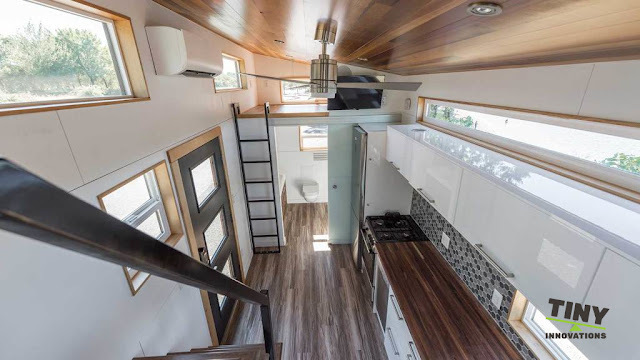 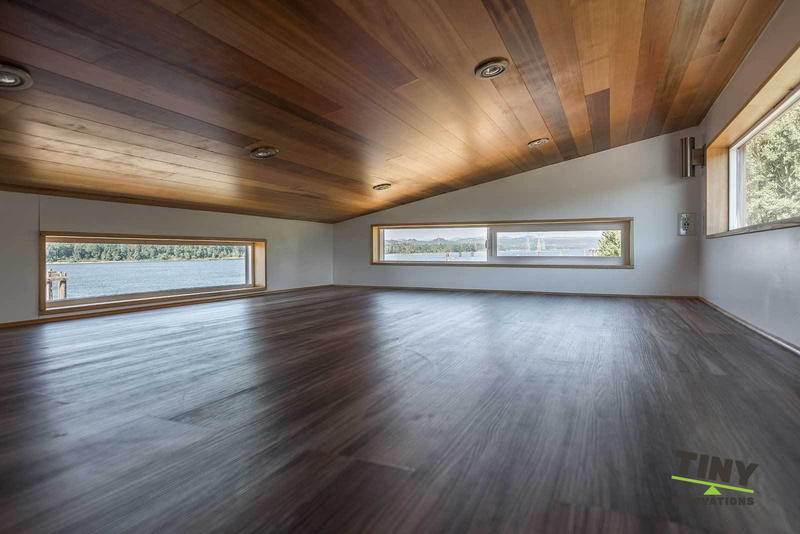 Named the "Catalina", the home has a main floor size of 207 sq ft and a loft size of 110 sq ft for a total interior of 317 sq ft. The home's bright and functional layout features a kitchen, living room, bathroom, and a loft bedroom. The kitchen features butcherblock countertops, a tile backsplash, a four-burner gas stove and oven, a fridge, dishwasher, and a deep stainless steel sink. Also included in the Catalina is a washer/dryer combo and a flatscreen TV! 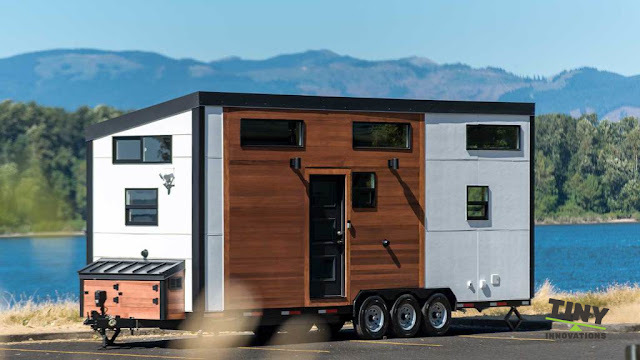 The Catalina is currently listed at $119,000 and comes with free delivery! 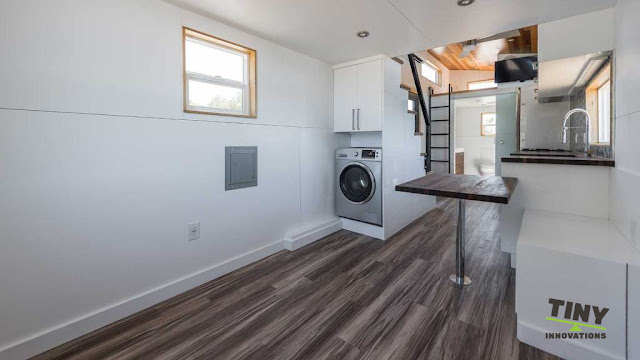 You can reach out to Tiny Innovations here for more info and/or inquiries!